Residents and city leaders explore the new Central Avenue Public Pier during a grand opening ceremony on Dec. 13. 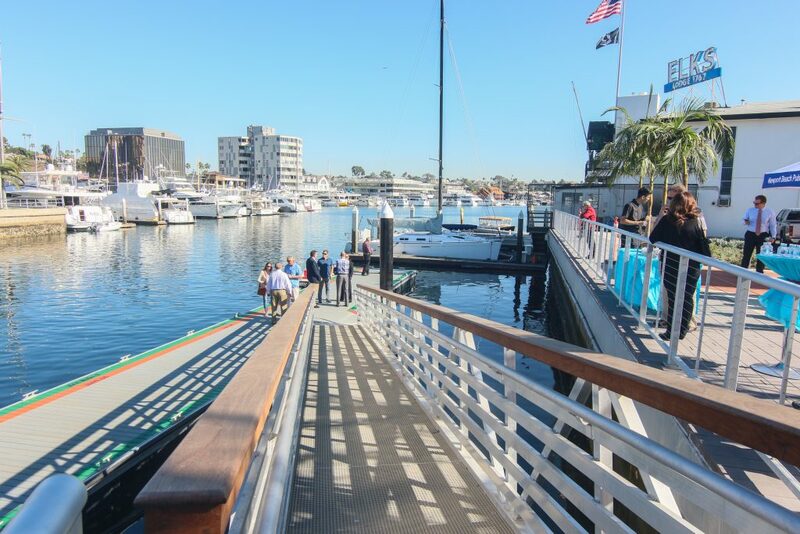 In order to preserve the original intent of the Central Avenue Public Pier, the Newport Beach Harbor Commission voted 3 to 2 Wednesday to “respectfully decline” state grant funds that included a requirement they found to be conflicting to the dock’s main purpose. The Commission’s decision still has to go to City Council for the final authorization. The 84-feet long and 10-feet wide pier provides an important link and easy access between water users and the retail shops and restaurants at Lido Marina Village and the nearby area, including the soon-to-open Lido House Hotel. It was specifically built for vessels in the small range class, which is the primary user group for that location in the harbor, mostly 18 to 22 foot vessels, explained Harbor Resources Manager Chris Miller. 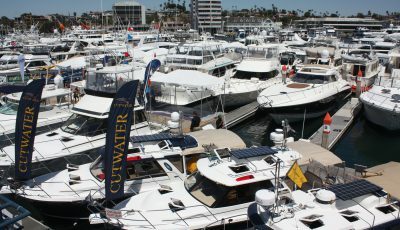 The approximate $68,000 grant, provided by the State of California’s Boating and Waterways Division, included a requirement that the dock have space reserved for vessels 26 feet and longer. The size designation was the “final checkbox” for the grant. All other requirements necessary to receive the funds were met. An area reserved for boats of minimum length of 26 feet would limit access for the other smaller vessels, like duffy boats. But on the other hand, the Commission and staff very much appreciated the state grant and wanted to make use of those funds. “I hate giving money back, especially to the state and especially when we earned it, but the requirements of the state do not meet the operational characteristics of the dock that we designed,” said Commissioner Paul Blank. Ultimately, the primary intent of the pier needs to be preserved, several commissioners agreed. The pier is still 100 percent funded from other sources, Miller emphasized. The city will still pay nothing out of pocket for the public pier, he said. Miller applied for the grant about two years ago. 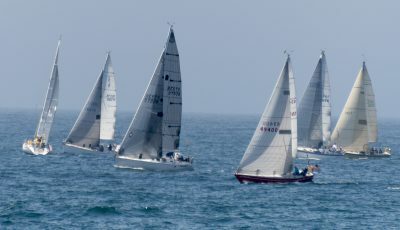 Later, the California Coastal Commission required the Newport Harbor Yacht Club, as they applied to rebuild their own facility, to contribute funds toward the pier project. The NHYC provided $350,000, which was ear tagged to first be applied to the pier and then to the accompanying plaza. So even without the grant, the yacht club funds completely paid for the pier, but, not the entire plaza project, which also included street and parking improvements. Since the plaza was already budgeted as part of the Capital Improvement Program, anything left over on the plaza project will be funded from the CIP. Commissioners and staff were torn and tried to make it work using the grant funds. 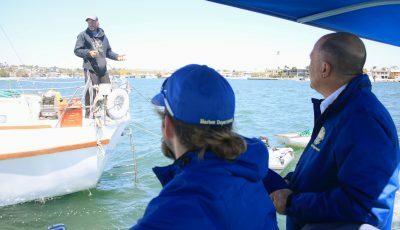 In October, the Harbor Commission voted to make entire dock limited to boats under 30 feet. So Miller reasoned that any vessel under 30 feet, including boats that are longer than 26 feet, can use the dock, therefore, that should satisfy the intent of the grant. But last week, state officials responded that an area has to be officially designated or reserved for vessels 26 feet and over, possibly with a painted line on the dock or sign. 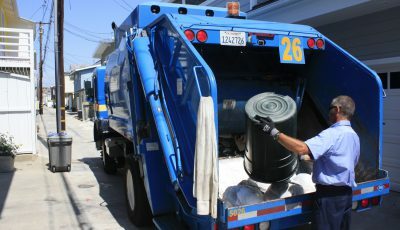 He quickly wrote up a staff report and brought it to the Harbor Commission in order to meet the state’s decision deadline on Thursday. Commissioners tried finding a “best of both worlds” solution, asking if they could “try it out” and return the grant if it doesn’t work, or only keep the designation for a year and then revert to the initial regulations, or even if they could use the grant funds elsewhere (they can’t). Commissioner Ira Beer suggested striping a section specifically for vessels over 26 feet, but limiting that to no more than 28 feet (rather than the 30 feet limit on the entire dock) and “squeezing a little more out of it” with two extra feet of wiggle room. That way, it would still leave 56 feet open for possibly up to three or four small vessels, Beer said. But legally it gets murky and the requirements were clear, so Miller suggested Commissioners decide unambiguously one way or the other. After much discussion on the dais, Commissioners thought that, considering the pier was still 100 percent funded from other sources, they should “politely” decline and keep the intent for small vessel usage intact.